The Philippine Statistics Authority (PSA) recently reported that the national inflation rate has accelerated to 5.2 percent in June, the highest ever recorded since 2012. Inflation has been increasing at the start of the year from 3.4 percent in January to 4.6 percent in May. The latest inflation result was more than expected, prompting the market to speculate that growing momentum in prices may increase inflation further in the second half of the year. 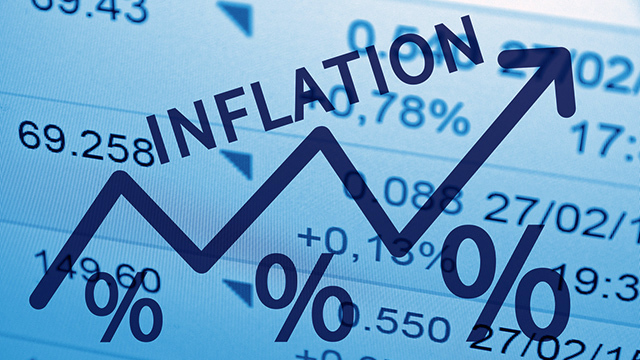 Rising inflation is seen as undesirable in general because higher prices can hurt you if you live on a fixed salary or have limited savings in the bank. Inflation diminishes your buying power because higher prices mean you have to spend more for the same goods and services. Although inflation can be a good indicator of a growing economy, your income and savings must also grow and catch up with the general increase in prices. Keeping your money in the bank to earn interest may not be enough. If inflation is higher than the interest rate you earn, the net effect will still be negative on your savings. For example, if the interest rate is two percent per annum but inflation is 4.5 percent, the real interest rate you will actually earn is a negative 2.5 percent. In a volatile market where inflation is rising every month, investing in long-term money market instruments that pay you a fixed interest exposes you to risks of negative returns in the long-run. Because interest rates tend to follow inflation, investing a portion of your savings in short-term money market instruments such as Treasury bills may help you cushion the impact of an accelerating inflation. Treasury bills or T-bills are issued and guaranteed by the Philippine government. Its 91-day interest rate has been increasing since October last year from 1.96 percent to 3.6 percent this month, mirroring the growth in inflation rate. If you need to have standby cash for emergency purposes, you can choose to park it with short-term fixed income instruments to maximize returns. Investing in stocks has historically provided higher returns than fixed income investments and is one great opportunity to build wealth over time if you are looking to grow your savings for the long-term. With the PSE Index having lost by about 20 percent so far from its peak this year, there are a number of blue chip stocks that you can already buy at bargain prices. Of course, earning higher returns from stocks do not come without higher risk. There will always be risks that market may continue to fall and you may experience paper losses in your portfolio. In order to lessen your risk of making mistakes, stick only to blue chips that have reliable track records of profitability and stock performance when the market recovers. Some of the top blue chips that have historically outperformed the PSE Index in the last five years are SM Prime (PSE:SMPH), Jollibee (PSE:JFC), Ayala Land (PSE:ALI) and BDO Unibank (PSE:BDO). If you think you don’t have the skills in stock picking, you can also invest in Exchange-Traded Funds or ETFs, which simply tracks the PSE Index. While the stock market may be down today, it will always eventually recover in due time. If you are invested in the equities market as a whole, your returns in the long run should beat inflation. The PSE Index has historically generated seven percent return per year since 1986 but during the last 10 years, the PSE Index grew by an annual compounded rate of 10 percent. Over time, stocks will always beat inflation because companies can raise prices to account for rising costs. This increases revenues and earnings, which lead to higher share prices in the future. Because ETFs follow the PSE Index, you are assured that the fund contains only the bluest of the blue chips. Investing in stocks is not only about making money from share price appreciation. You can also earn regular cash dividends from stocks that offer returns higher than inflation. Choose stocks with a good dividend history. Dividends that increase every year are indicative of healthy earnings growth. Utility stocks are traditionally stable and known to be generous dividend payers. Blue chip stock Meralco (PSE:MER) currently trades at a dividend yield of about 5.1 percent while SPC Power (PSE:SPC), another utility stock, trades at 7.4 percent. If you are more conservative, you can also invest in preferred stocks, which pay fixed dividends, similar to a bond paying interest income. Some of the preferred stocks that have high dividend yields are San Miguel Corporation (PSE:SMC2B) at 7.5 percent, Megawide Construction (PSE:MWP) at 6.8 percent and Phoenix Petroleum (PSE:PNX3A) at 7.8 percent. There are two ways to beat inflation by investing in real estate. One is by simply investing for capital appreciation. For example, you can buy an idle lot whose value you expect will increase in the coming years. Depending on the demand for property in the area, the compounded annual increase in value of the land should enable you to beat inflation rate in the long run. The other way is by investing in rental-paying properties. You can invest in a property that pays annual rental yield that is higher than inflation. For example, you are planning to buy an apartment for investment. Before you finalize your purchase, make sure that the rental you will charge will give you yield that is better than inflation and that the monthly rental you will ask for is according to market in the area.